Calling all Nottinghamshire households! This event is for you. 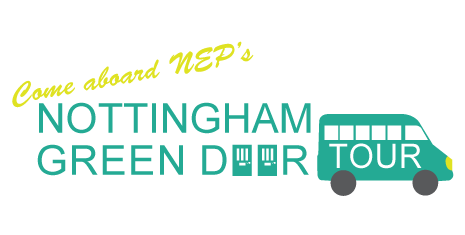 We are running a retrofit tour via minibus in Nottingham city. Our hosts own a variety of house types, from a Victorian terrace with solid wall insulation to a state of the art Eco home. Tour Date: Saturday 23rd May 9.40am - 2pm Please note there are limited seats available, so please book as soon as you can. Hello we are Nottingham Energy Partnership! Our Green Open Homes event runs in the form of a tour. Our attendees will see a selection of Nottingham's retrofitted homes all in the space of just a few hours. We will visit three areas of the city that are home to a variety of archetypes and energy saving measures. Energy improvements will include solid wall insulation, biomass boilers, solar power, rainwater harvesting and much much more. Please note there are only 14 available seats and places work on a first come first serve basis. We can only take residents who live in Nottingham City or Nottinghamshire and a maximum of two people per household.